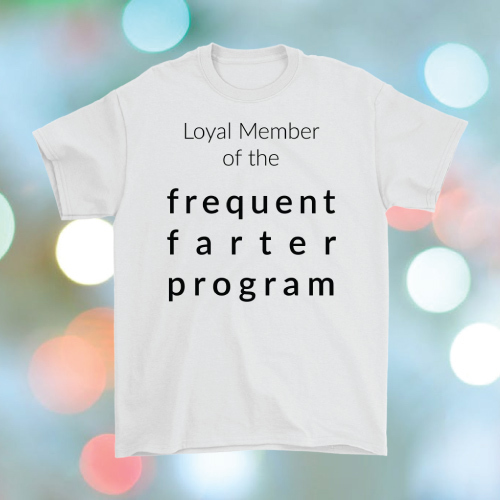 Hi ladies, I’ve rounded up the best guy gift for 2018 holiday season. 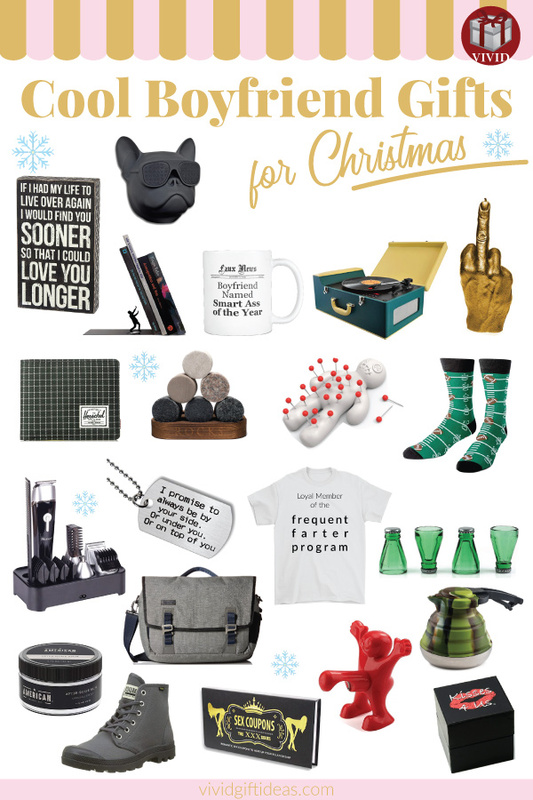 24 fail-proof Christmas gifts for boyfriend here. Whether you are shopping for your new boyfriend or the longtime boyfriend, these awesome ideas will definitely up your relationship game. From cool tech gadgets to men’s fashion, grooming, housewares and more. These things are the gifts that men really want. Scroll down to discover best Christmas gifts for boyfriend 2018. Let’s start the holiday season with good music. 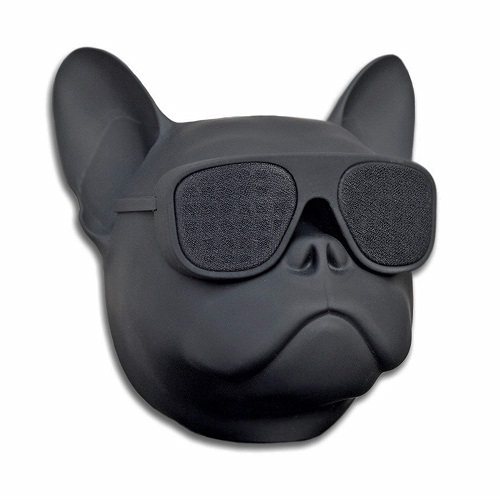 Get him this bad dog to play music the coolest way. Powerful stereo, clear sound, strong bass. An awesome tech gift for men. Drinking out of these recycled beer bottle glass definitely makes it more fun. 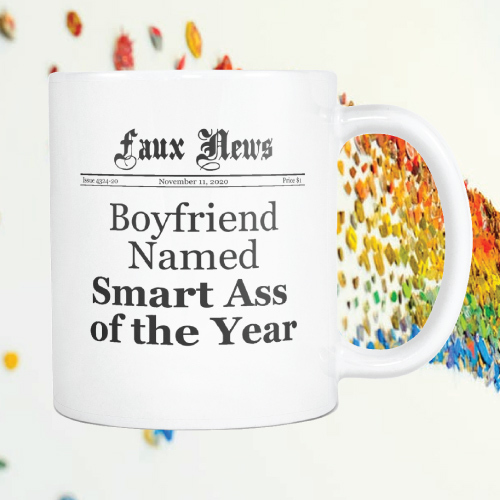 Whether he is good at solving the problems or not, this is a fun mug to poke fun at him. A sentimental Christmas gift that he will love — a beautiful decorative box featuring a touching message. Made of wood, painted in a distressed style. A slim and safe wallet for the modern guys. 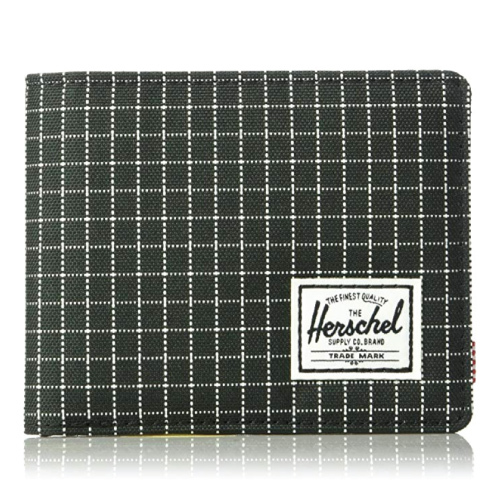 It has the RFID blocking design and multiple card slots. Well-made, washable. A great wallet that can last for years. Every dude needs this on the work desk. 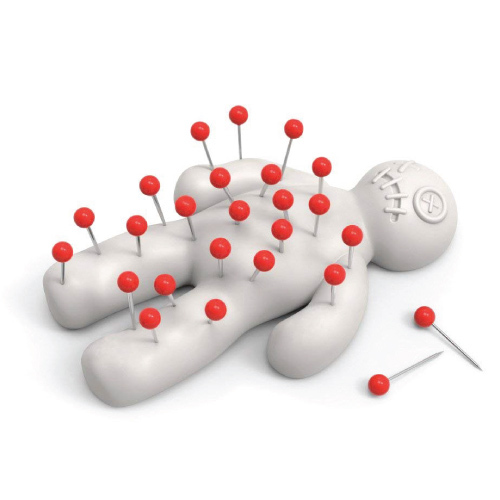 It is the best stress-relief therapy — simple, cheap and you can immediately feel much better by stabbing it. 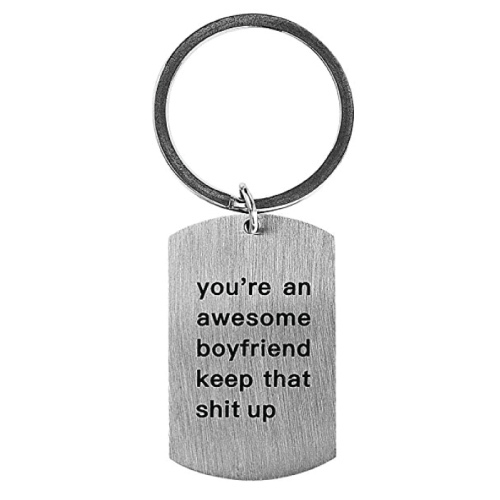 For the awesome boyfriend only. Express your love in such a “sweet” way to him this Christmas. This holiday, give the gift that both of you will enjoy. A box of 30 kiss cards with details on how to do creative, flirty and romantic kisses. 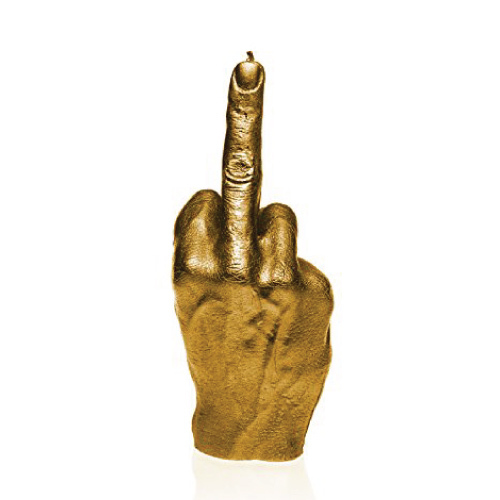 Everybody loves fancy candles, but this gold finger brings it to the next level. 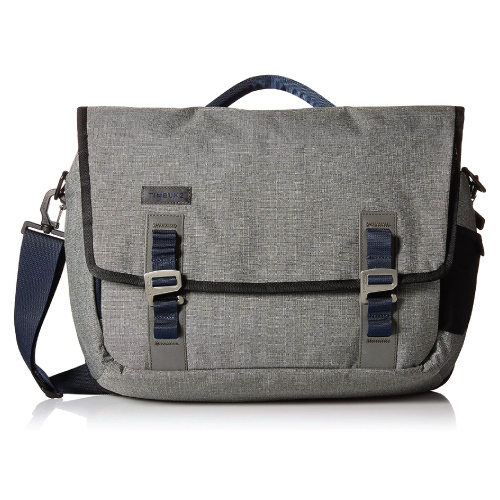 A good-looking bag that your guy will appreciate. Sturdy and spacious. It fits books, laptop and other essentials that he needs when running errands. Because dudes look cute in boots. Add a pop of color his otherwise dull, men’s room. 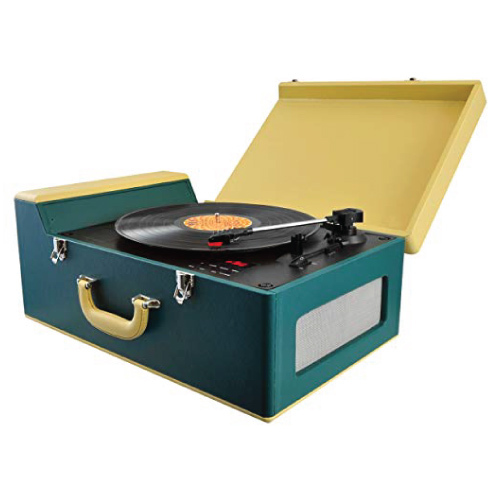 This retro designed speaker combines the classic turntable with modern technology. It can play any vinyl records, CD, USB or connect to any Bluetooth devices for wireless streaming. Create special effect for his bookcase. 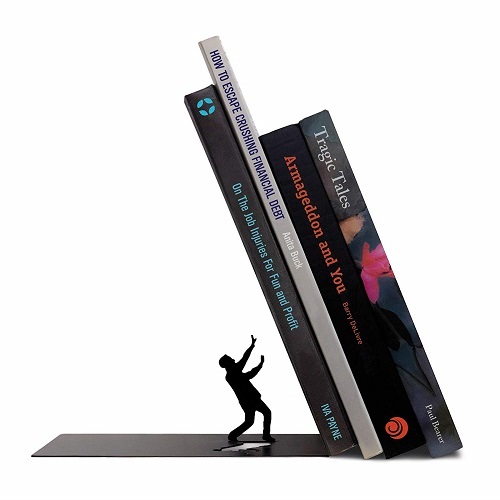 A stylish bookend that guys will appreciate. If you are looking for something small and inexpensive, you can always get a pair of cute socks for him. Try buying the ones with a colorful and fun design. 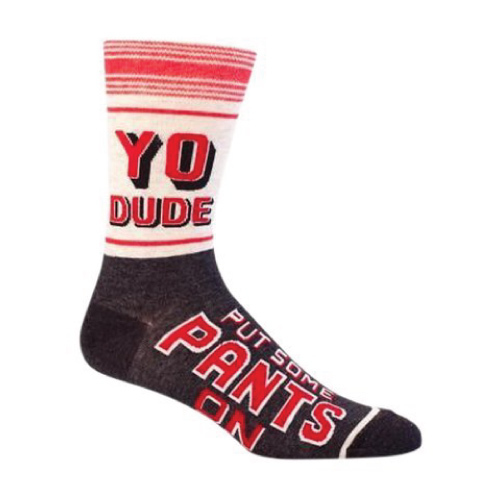 This pair that reads “You dude, put some pants on” will definitely make him laugh. Because every man needs a good shaver. 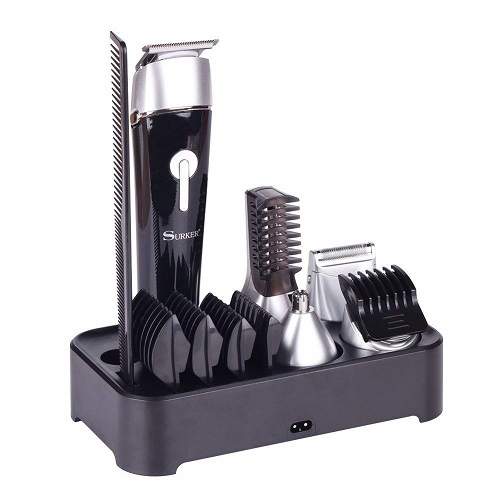 He will thank you for this 5-in-1 cordless grooming kit. 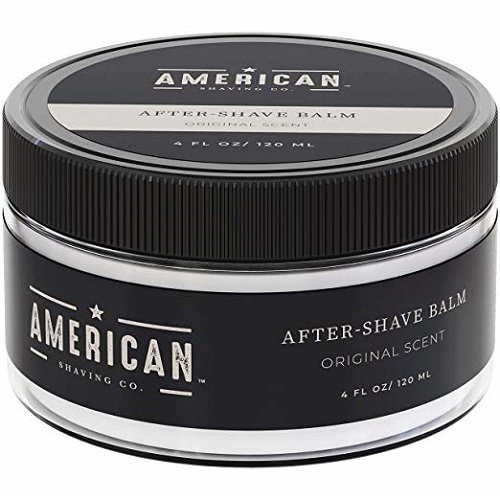 Multipurpose for shaving, trimming and clipping his body and facial hair. Make his morning routine smoother. 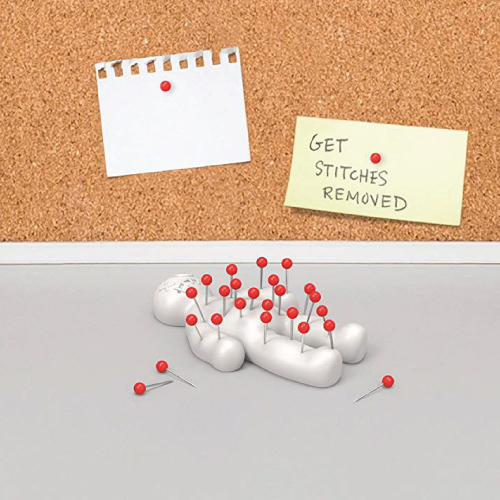 Refresh and soothe the skin after shaving. Chill your favorite drinks with these beautiful granite stones. 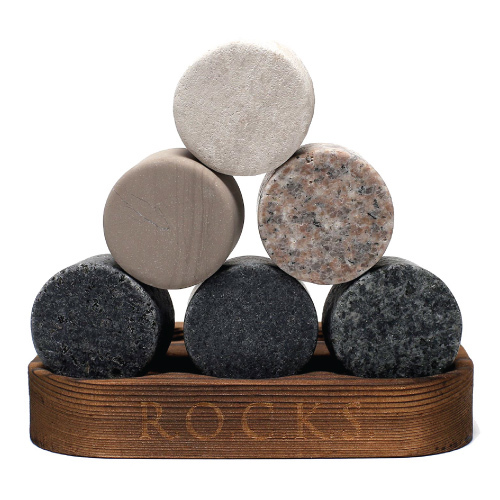 They are handpicked and handcrafted using high-quality granite with distinct natural colors. Solid and elegant. 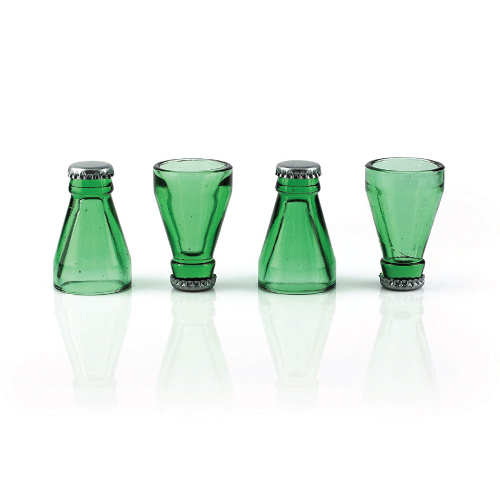 Enjoy your drinks cold without the dilution from melting ice cubes. 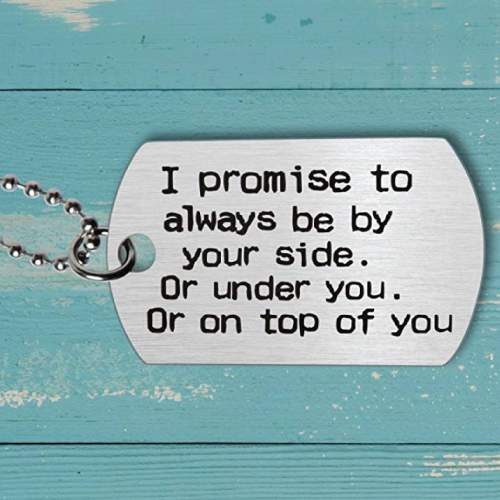 Let your SO know how much you love him with this funny little dog tag necklace. He will be surprised by the “sweet” promise you make. It makes one of the best naughty Christmas gifts for him. For the man who is always full of gas. This tee will definitely make him laugh. Feeling generous? Why not give him a checkbook that he can cash in anytime when he needs. This book is filled with 100 naughty checks to help spice up your relationship. Includes a diverse range of topics suitable for men and women. Fill-in-the-blank style for couples to customize to their liking. A small Christmas gift for football boyfriend. Whether he is watching the game, cheering from the sidelines or playing his own game, this pair of socks looks perfect for the game day. Another great naughty gift for him. Wish him to be as happy as this little guy not just on Christmas day but many more days to come. 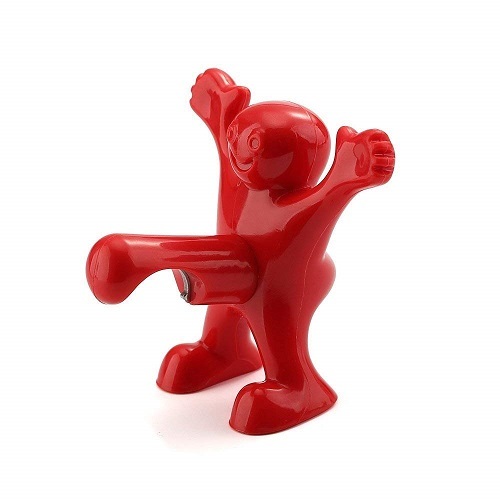 This little fella is very tough and hard, he is ready to open any bottle. 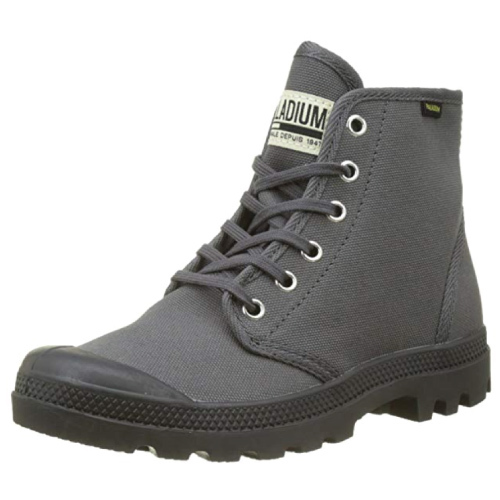 For the men who love camping, hiking or traveling. This handy kettle will be useful when you have limited storage space. 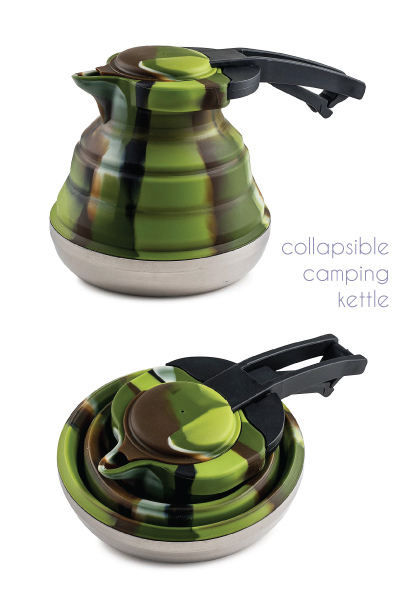 It can be stored easily in any bag and the aluminum base ensures even heating to boil water fast. A cool-looking mug for your SO who loves coffee. He will love the unique prescription bottle design and the catchy messages on it. 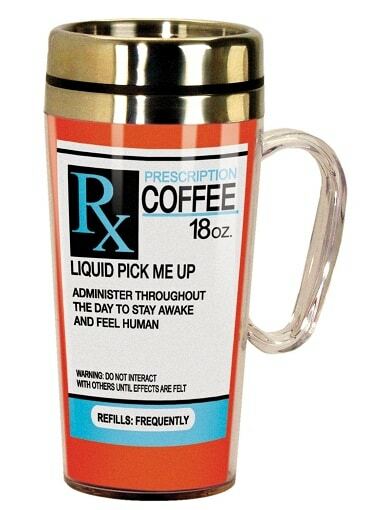 This mug has a stainless steel lining and it is double-walled to keep coffee warm for hours. Give justice to the food. 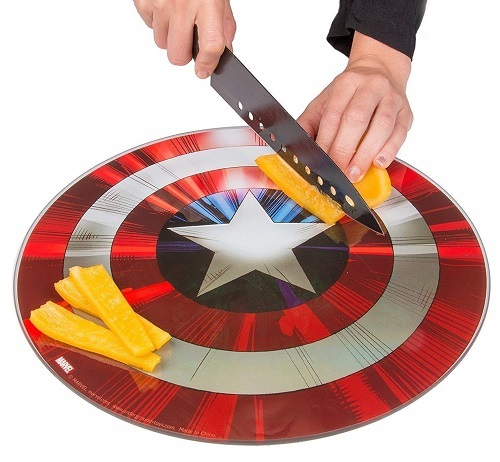 Cut and slice them nicely on Captain American’s shield. That concludes our list of best Christmas gifts for boyfriend (2018). 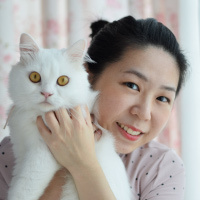 Thanks for reading and have a happy Christmas! 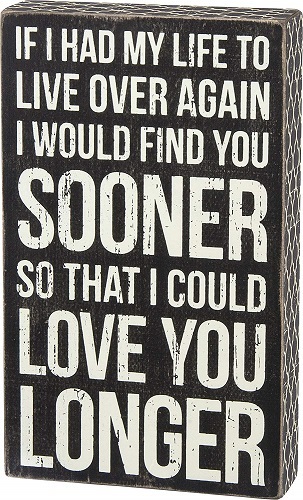 Get more cool gift ideas for boyfriend from our Pinterest!